There are three advents of the Lord: the first in the flesh, the second in the soul, the third at the judgement. The first took place at midnight according to these words of the Gospel: “At midnight a cry was heard: The Bridegroom is here!” (Mt 25,6). This first advent has already happened since Christ has been seen on earth and has spoken with men (Bar 3,38). 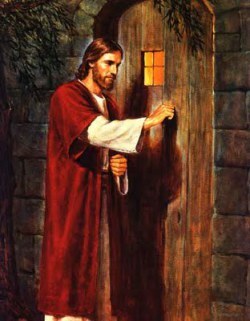 Now we are in the second advent, provided we are such that he can thus come to us, since he said that, if we love him, he will come to us and make his home in us (Jn 14,23). This second advent is therefore something mingled with uncertainty, since who other but the Holy Spirit knows who is God’s? (1Cor 2,11). Those whose longing for heavenly things transports them out of themselves know well when he comes; however, they “do not know where he comes from or where he is going” (Jn 3,8). As for the third advent: it is most certain that it will happen, most uncertain when it will happen. For there is nothing more certain than death, nothing less certain than the day of our death. “It is when people are saying: ‘peace and security’ that death comes upon them suddenly like labor pains upon a pregnant woman, and none will be able to escape it” (cf. 1Thes 5,3). Thus the first advent was lowly and hidden; the second is mysterious and full of love; the third will be dazzling and terrible. In his first advent Christ was judged unjustly by men; in the second, he grants us justice by his grace; in the last, he will judge all things with equity: Lamb in the first advent; Lion in the last; our most gentle Friend in the second. What I say to you, I say to all: ‘Watch! '”” -Mark 13:33-37. St. Andrew was one of the fishermen of Bethsaida, and brother, perhaps elder brother, of St. Peter, and became a disciple of St. John Baptist. 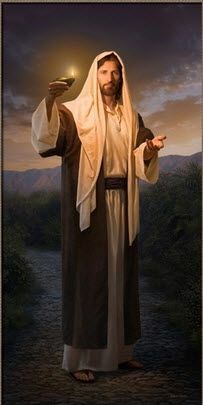 He seemed always eager to bring others into notice; when called himself by Christ on the banks of the Jordan, his first thought was to go in search of his brother, and he said, “We have found the Messiah,” and he brought him to Jesus. It was he again who, when Christ wished to feed the five thousand in the desert, pointed out the little lad with the five loaves and fishes. St. Andrew went forth upon his mission to plant the faith in Scythia and Greece, and at the end of years of toil to win a martyr’s crown. After suffering a cruel scourging at Patræ in Achaia, he was left, bound by cords, to die upon a cross. When St. Andrew first caught sight of the gibbet on which he was to die, he greeted the precious wood with joy. Two whole days the martyr remained hanging on this cross alive, preaching, with outstretched arms from this chair of truth, to all who came near, and entreating them not to hinder his passion. Saint Saturninus was a contemporary and a disciple of Our Lord Jesus Christ; he came to Palestine from Greece, attracted by the reputation of Saint John the Baptist, which had echoed even to the northern Mediterranean region. 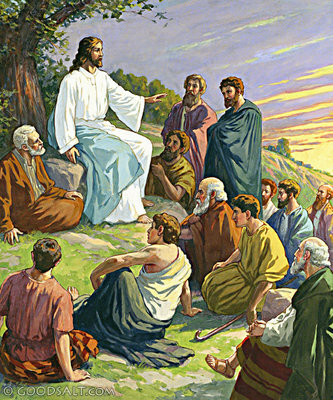 He then followed our Saviour, heard His teaching, and was a witness to many of His miracles. He departed to teach Christianity under Saint Peter’s authority, evangelizing the lands east of Palestine, and going as far as the region of the Persians and Medes and their neighboring provinces. He cured the sick, the lepers, and the paralytics and delivered souls from the demons; and before he left, he gave written instructions to the new Christians concerning what they should believe and practice. When Saint Saturninus went with Saint Peter to Rome, the Apostle was inspired to send out a number of fervent evangelists to the West, to dissipate by the light of Christ the darkness in which those regions were still plunged. Saturninus was directed to go to what is now southern France, to Toulouse in particular. Saint Peter consecrated him a bishop, that he might form and ordain native priests for the future Christian churches of Gaul. He was given for his companion Papulus, later to become Saint Papulus the Martyr. The two companions acquired at Nimes an ardent assistant in the person of Honestus. At Carcassonne, when the three announced Christ they were thrown into a prison, where they suffered from hunger; but an Angel was sent by the Lord to deliver them, and they continued on their way to Toulouse, preaching the doctrine and the name of Christ publicly. At this large and opulent city, where idolatry was entrenched, the idols became mute when the missionaries arrived. This caused great astonishment, and the cause of the silence was sought. Saint Saturninus in the meantime was working miracles which produced a strong impression on the witnesses; among them, the cure of a woman with advanced leprosy. The sign of the cross which he made over crowds often cured many sick persons at the same time, and he then baptized those who showed themselves ready for the sacrament. For a time he left his two disciples there and continued on elsewhere, preaching in the cities of what are now Auch and Eauze. A Spaniard heard of him and crossed the Pyrenees to hear him; this man, by the name of Paternus, advanced so rapidly on the paths of virtue that Saint Saturninus ordained him and then established him bishop of Eauze. He himself returned to Toulouse and sent Honestus to Spain to preach. When the latter returned to ask him to come with him to Spain, he left his disciple Papulus in charge for a time at Toulouse. At Pampeluna his preaching brought thousands to the truth, delivering these former idolaters from the heavy yoke of the ancient enemy. While he continued his apostolic labors elsewhere, in Toulouse a persecution broke out against Papulus, and the faithful Christian obtained the crown of martyrdom by a violent death. At once Saint Saturnin returned to Toulouse, when he learned of it. The idols again became mute. One day a great multitude was gathered near a pagan altar, where a bull stood ready for the sacrifice. A man in the crowd pointed out Saturninus, who was passing by, as the cause of the silence. There is the one who preaches everywhere that our temples must be torn down, and who dares to call our gods devils! It is his presence that imposes silence on our oracles! He was chained and dragged to the summit of the capitol, situated on a high hill, and commanded to offer sacrifice to the idols and cease to preach Jesus Christ. An Angel appeared to him to fortify him, and the terrible flagellation he endured could not alter his firmness. I know only one God, the only true one; to Him alone I will offer sacrifice on the altar of my heart… How can I fear gods who you yourselves say are afraid of me? He was tied by a rope to the bull, which was driven down the stairs leading to the capitol. His skull was broken, and the Saint entered into the beatitude of the unceasing vision of God. His body was taken up and buried by two devout young women. Tradition conserved the memory of the place of his burial, where later a church was built. 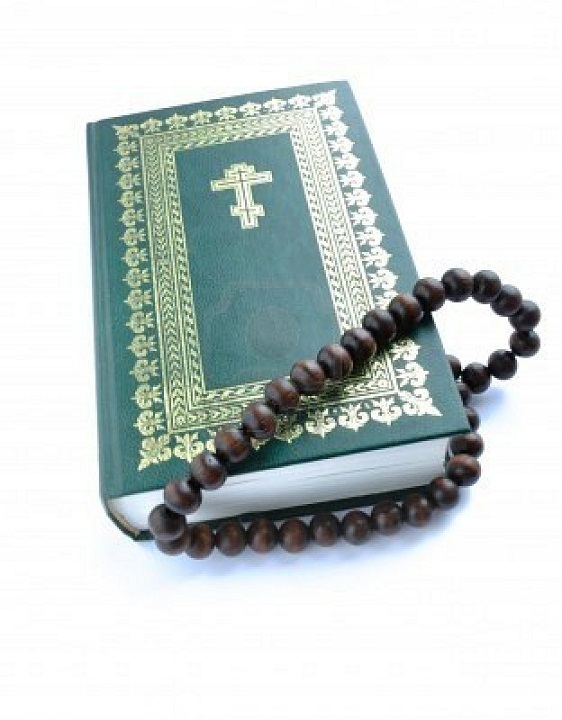 My beloved, that a person should do the will of God is what constitutes prayer. You should be eager in wakefulness and remove far from yourself drowsiness and sleep; you should be watchful both by day and by night and not be disheartened. Now I shall show you the different occasions for prayer. There is petition, thanksgiving, and praise (Phil 4,6). In petition one asks for mercy for one’s sins, in thanksgiving you give thanks to your Father who is in heaven, while in praise you praise him for his works. At a time when you are in trouble, offer up petition, and when you are well supplied with good things, you should give thanks to the Giver, and when your mind rejoices, offer up praise. Make all these prayers of yours with discernment to God. See how David was always saying: “I have risen to give thanks to you for your judgments, O Just One.” (Ps 119,62). And in another psalm he said: “Praise the Lord in heaven, praise him in the heights” (Ps 149,1). Again he says: “I will bless the Lord at all times, and at all times his praises are in my mouth” (Ps 34,2). Do not pray using only one kind of prayer, but all separately according to circumstance. But he takes no pleasure in the person who offers up prayer in mockery. As it is written: “This is required of the person who prays, offering up prayer: that he turn over and inspect his offering well, lest some blemish be found on it; only then should he offer it” (cf Mt 5,23-24; Mk 11,25), so that your offering does not remain on earth. What is this offering if not prayer?… Of all offerings pure prayer is the best. The Miraculous Medal comes directly from the Most Blessed Virgin Mary, Mother of God and our Mother; it is a gift from heaven which has never ceased to effect marvels of grace throughout the entire world. This medal is a very simple and very efficacious means to benefit from the protection of Mary in all our necessities, both spiritual and temporal. On November 27, 1830, in a residence of the Daughters of Charity, at the Chapel of the Rue du Bac in Paris, the Most Blessed Virgin appeared to Saint Catherine Labouré (1806-1876) for the second time. On this day the Queen of Heaven was seen with a globe under Her feet and holding in Her hands, at the level of the heart, another smaller globe, which She seemed to be offering to Our Lord in a gesture of supplication. The Blessed Virgin looked down on the humble novice who was contemplating Her. Behold, She said, the symbol of the graces that I bestow on those who ask Me for them. The jewels which remain in the shadows symbolize the graces that one forgets to ask Me for, the Virgin continued. And Catherine Labouré wrote later, She made me understand how generous She is towards persons who pray to Her, how many graces She grants those who ask Her for them, and what joy She has to bestow them! In a gesture which invited recourse and confidence, the hands of Mary descended and were extended as we see them represented on the medal. Sister Catherine Labouré beheld this vision with happiness. A voice said to her: Have a medal struck on this model; the persons who will wear it will receive great graces, especially if they wear it around the neck. These graces will be abundant for those who wear it with confidence. The picture seemed to turn around, and Sister Catherine saw, on its reverse side, the letter Msurmounted by a little cross, and below it the holy Hearts of Jesus and Mary, the first surrounded by a crown of thorns, and the second transfixed by a sword. Twelve stars surrounded the monogram of Mary and the two holy Hearts. Sister Catherine faithfully accomplished the mission Heaven had entrusted to her. In 1832 the medal was struck and immediately underwent a extraordinary diffusion throughout the world, accompanied by unceasing prodigies of cures, protection and conversion. Thus it came to be known as the Miraculous Medal. Let us wear this medal of the Most Blessed Virgin with respect, and often repeat with confidence and love, the invocation by which Our Heavenly Mother desires that we implore favors: O Mary, conceived without sin, pray for us who have recourse to Thee.